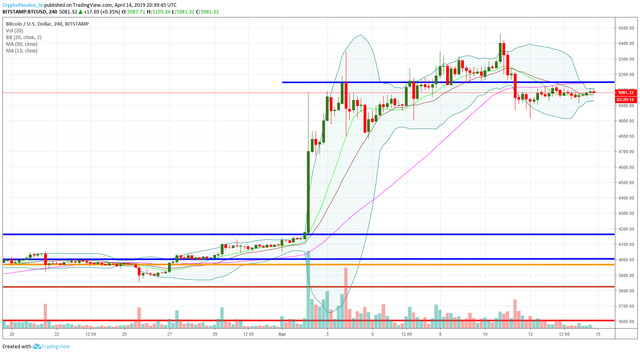 Today, we tried to break the resistance line at 5150$ but we failed and it created an immediate drop that we are experiencing. 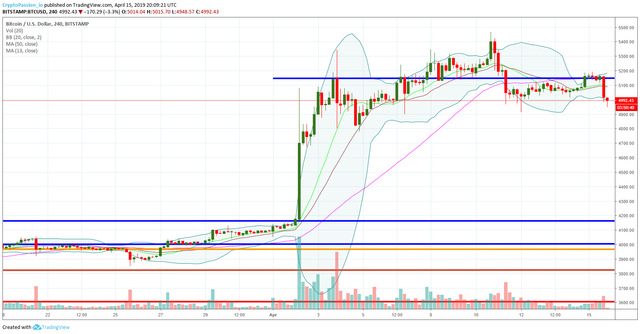 The bad news is that if the drop is confirmed, we have lot of space before the next support so it could create an important correction. Legal Disclaimer : Never invest more than what you can afford to lose. I am not a financial advisor and the content in this article is not a financial advice. This post is for informational purposes only and provides only my personal opinion. It is important that you do your own research before making any investment decisions. If you make any trades after reading this post, it is completely in your responsibility. I am not responsible for any of your losses. By reading this post you acknowledge and accept that. Thank you for this valuable article.Thank you for this valuable article. I consider that bitcoin will rise up to 5700 anyway. I posted some assessment about bitcoin. If you want to read they are above.